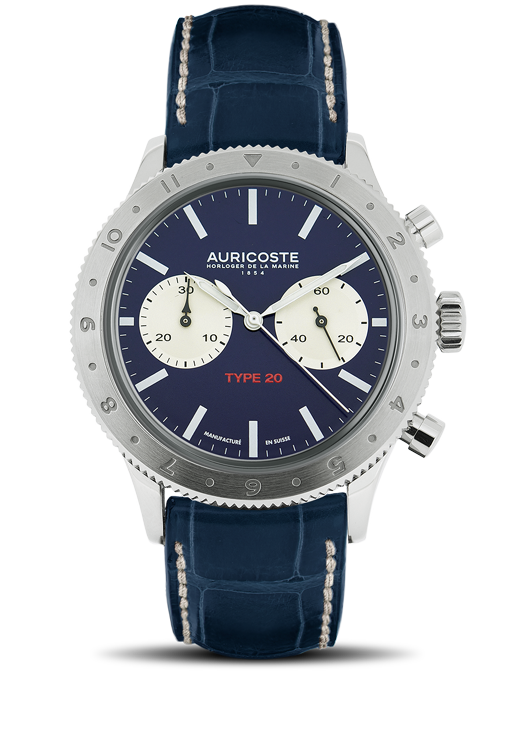 Here is our « GRAND BLEU », chronograph, Flyback certified. If this model meets the requirements of our five oceans magical universe, it is first a useful and elegant time-keeper. Limited to 100 pieces, this watch will soon become a top rated collection watche. The case and the bezel have been designed in a perfect 316L steel. Size: 42mm. The watch feature a genuine alligator strap and a steel deployment clasp. The movement is a Dubois-Depraz self-winding mechanical Flyback certified, 57 jewels and a 52 hours power-reserve.